Tired of the snow and ice?!! 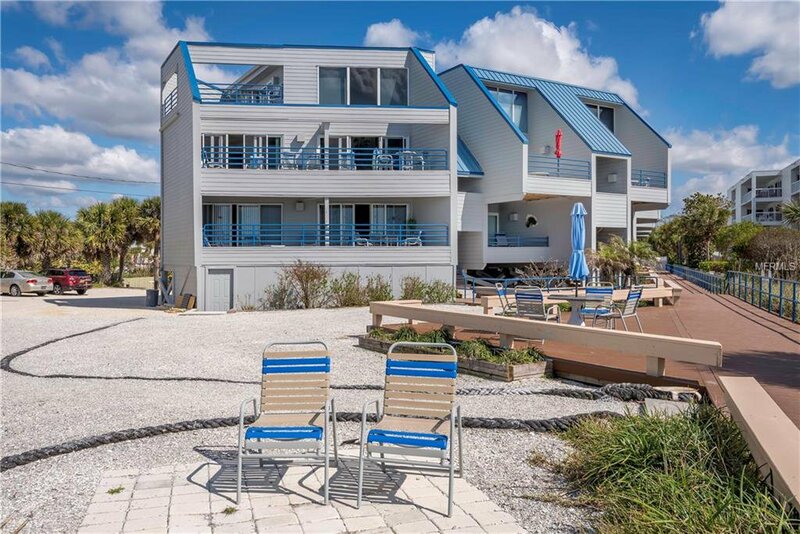 Now is your chance to own a rarely available Gulf view three bedroom condo, where your biggest decision is whether to take a couple of steps to the heated pool or to lie on beautiful Englewood Beach. This turnkey furnished condo has many amazing upgrades including an impact slider installed in the master bedroom in 2018, gorgeous luxury vinyl tile installed in the living & dining rooms and master bedroom. The completely renovated main floor bathroom is stunning. The newly painted interior makes the soaring ceilings, topical décor and renovations take your breath away. Enjoy breakfast, coffee, a good book or a glass of wine on one of the three private balconies/sundecks in your new condominium. This home will soon be equipped with all new stainless steel Frigidaire appliances and a new washer and dryer. Enjoy full amazing ocean views and sunsets from your living room, dining room, kitchen, upstairs bedroom or balcony/sundeck anytime you like! Wake up to the sound of the waves and the smell of ocean breezes! Community amenities include a heated pool, breathtaking private beach, parking under the building and a barbecue area. This unit, also, offers great income potential. These units can be rented weekly and have often been rented year around, so it is a perfect investment property or vacation rental. Close to many local attractions, restaurants, beaches, and shops. Don't wait!! Make your appointment today to see this amazing property! Listing courtesy of PRIME RESIDENTIAL BROKERS. Selling Office: PRIME RESIDENTIAL BROKERS.